The final set of molars are usually called the “wisdom teeth” and earned their nickname because they tend to erupt in a person’s mid-teens to late-20s. In many situations, the wisdom tooth partially erupts into the mouth, leaving a small opening or flap of tissue in the gums, allowing food debris and biofilm to accumulate just under it. This situation can allow the spread of infection to adjacent areas, resulting in the loss of multiple teeth rather than just the affected wisdom tooth. Infected wisdom teeth are typically removed rather than treated, due to their location and the difficulty it requires to care for them each day. If the molars are causing problems for adjacent teeth—even though they are considered to be free of infection—it may be best to have them extracted. Sometimes a tooth extraction is performed by an oral surgeon, especially if it’s considered complicated. 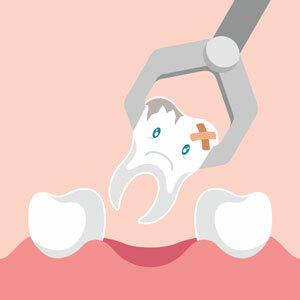 But for the most part, wisdom tooth removal can be completed here at Ormeau Dental. Like any other type of procedure, we pay particular attention to your comfort throughout the duration of the treatment. The only way to know for certain whether you or your teen’s wisdom teeth need to be extracted is to have our dentist examine the area and take an X-ray to look further inside of the mouth. After this brief exam, you will know if oral surgery is necessary and the next steps to take. Book a consultation with our gentle family dentists today to learn more!